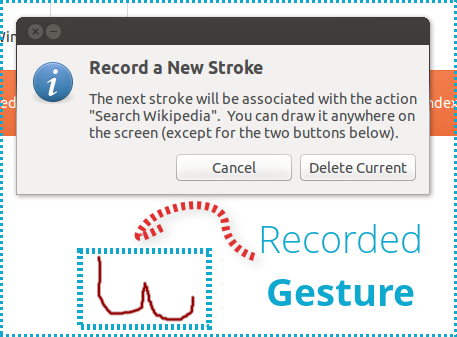 EasyStroke is a mouse gestures recognition application which is capable of associating a mouse gesture to a predefined action. 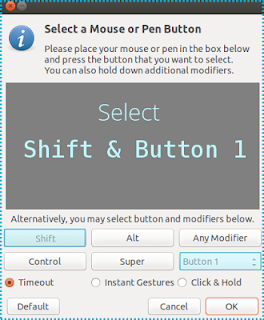 It allows you to create an unlimited number of actions by recording mouse gestures which you can associate to your favorite applications. 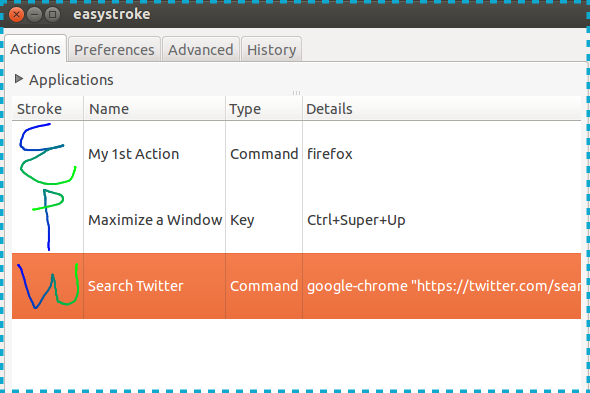 We will create a custom gesture that allows us to use Twitter Search by selecting any word in a given webpage. 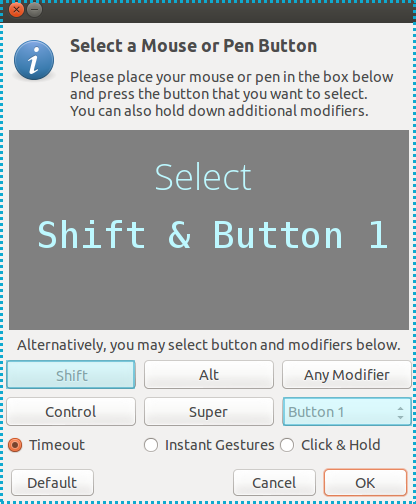 NOTE: Button 1 corresponds to the left mouse button. 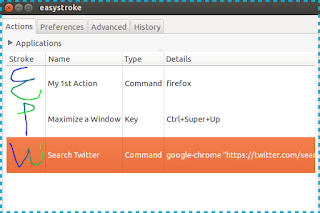 google-chrome "https://twitter.com/search?q=`xsel -p | tr [:space:] +`"
To use your gesture, simply select a word in some webpage, then draw the gesture while holding down the gesture button (i.e. Shift + Button 1). 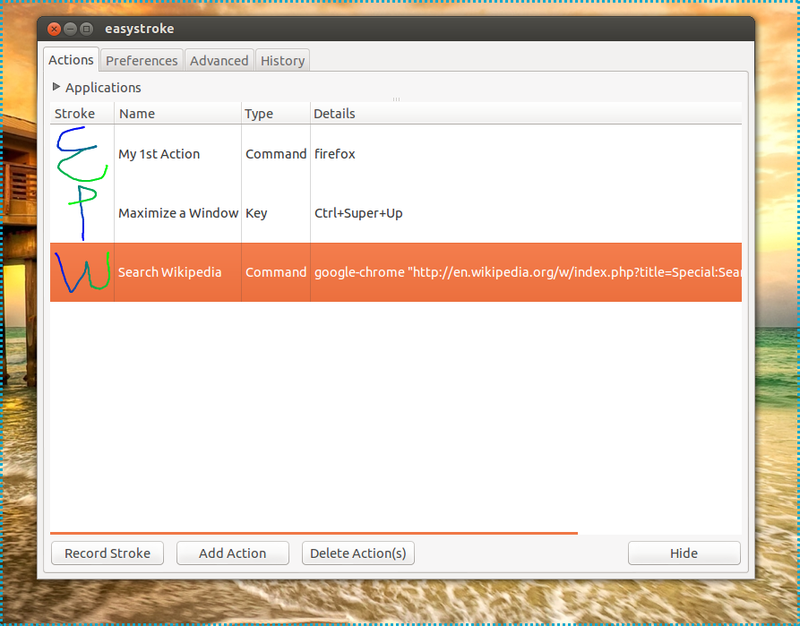 If everything went fine, you should see a new browser window displaying the search results that correspond to the selected word.